I’m not here to tell you something new. 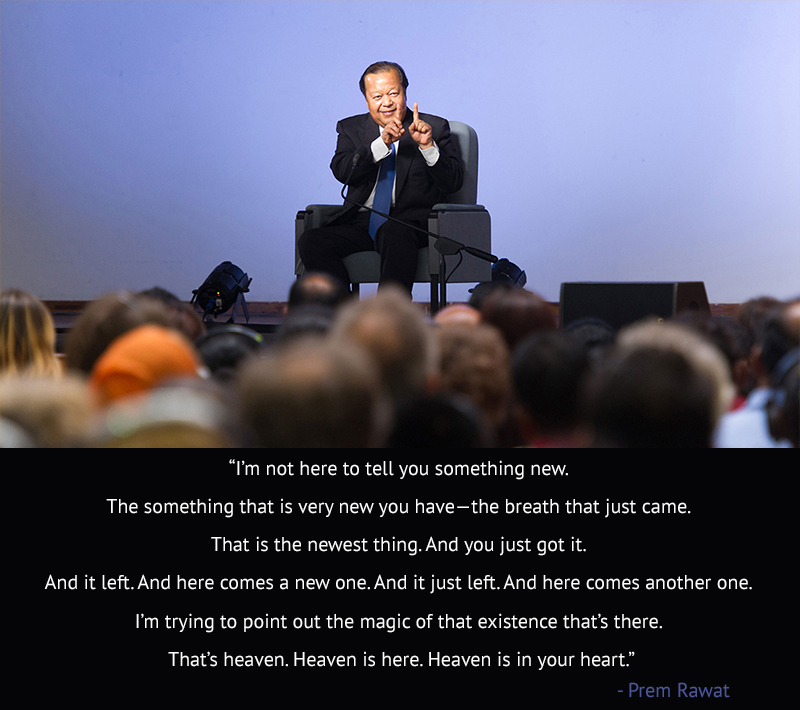 The something that is very new you have—the breath that just came. That is the newest thing. And you just got it. And it left. And here comes a new one. And it just left. And here comes another one. I’m trying to point out the magic of that existence that’s there. That’s heaven. Heaven is here. Heaven is in your heart.